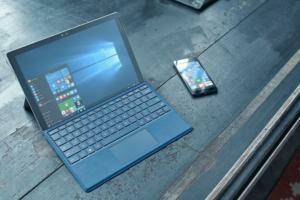 You'll see new Aero Glass, a smarter Cortana, and more. It wouldn't be a Microsoft Build conference without a, well, new build of Windows 10. Meet Build 10074 of Windows 10, which continues making over the look and feel of Microsoft's latest operating system. 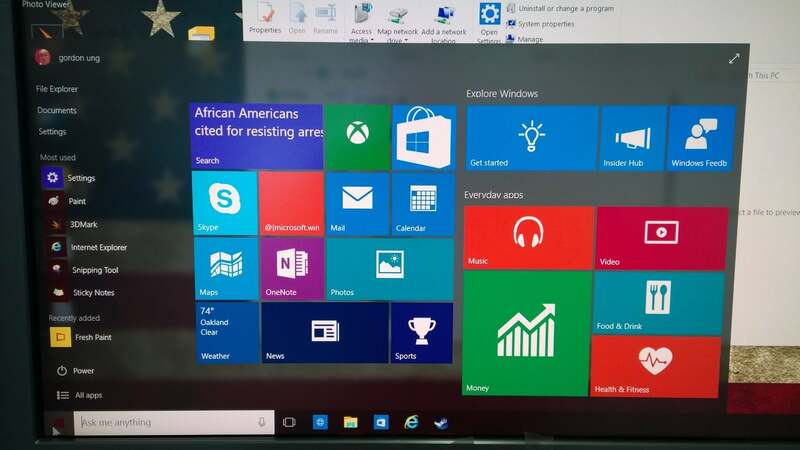 Two new additions stand out in the latest build: the new Start menu, which may include new Windows 7-style Aero Glass effects, and a more full-featured, intelligent Cortana digital assistant. We'll walk you through all the notable changes in the following slides. 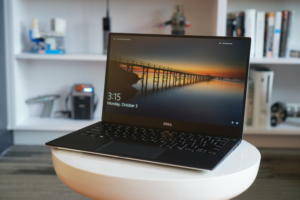 The new bulld was released at the Microsoft Build 2015 show in San Francisco. For more news on the show, check out our summary of the events of the first day of Build. 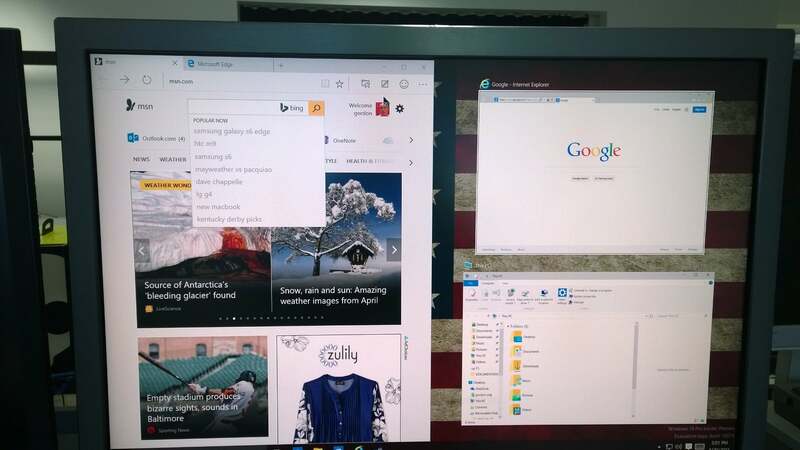 The first build addition is easy: Check out the "frosted glass" transparency that's been applied to the Start Menu. That's Aero Glass, a much-beloved effect from Windows 7. But only 50 percent of the new downloads will have this feature—blame Microsoft's a/b testing for that. 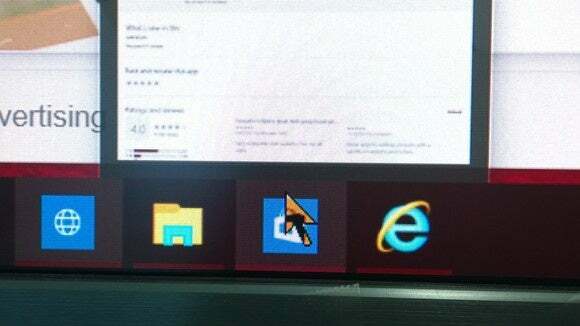 When you move your mouse over other elements on the screen, you see what's beneath the Start menu. This can produce some rather odd colors and contrasts, depending on your wallpaper. 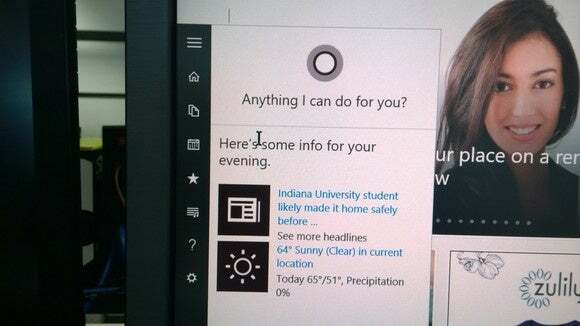 Microsoft's Cortana digital assistant gains intelligence in the new build, and she also becomes a bit more complex. 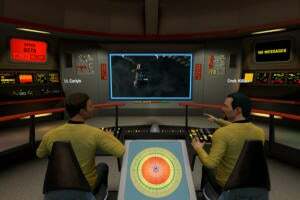 See that column of icons to the left side? Now you can click them to access the Notebook, Reminders, and more. 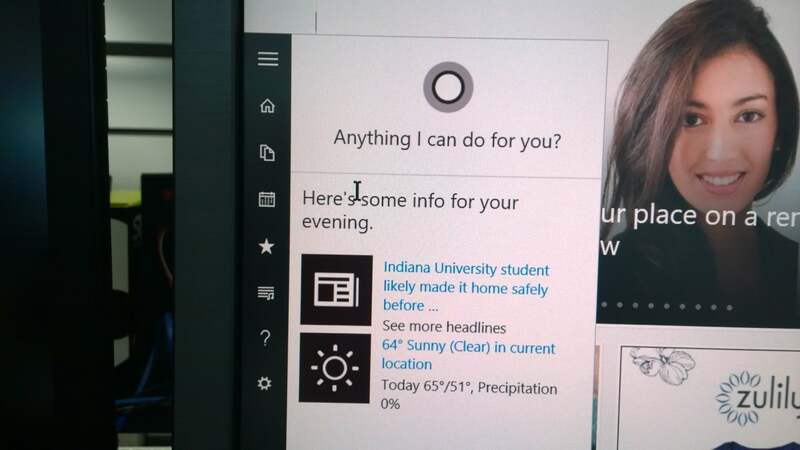 Cortana also dives deeper into third-party universal apps with a new Voice Command Definition Extensibility API. 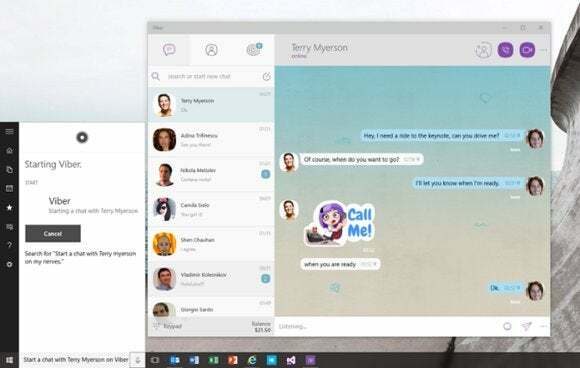 Simply put, you'll be able to issue commands for actions within apps like Uber or Viber. And if you have an appointment and use the Uber app, Cortana might show you a car in the neighborhood and offer to order it for you. 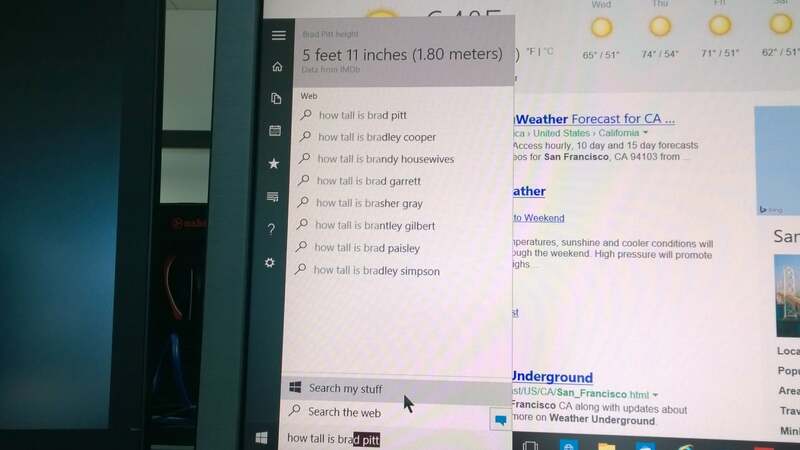 Microsoft added support for additional types of queries in the new Build 10074. When you ask Cortana a question, she's try to autocomplete the answer before you've even finished typing the question. In this case, she correctly deduced that my burning question was "How tall is Brad Pitt?" 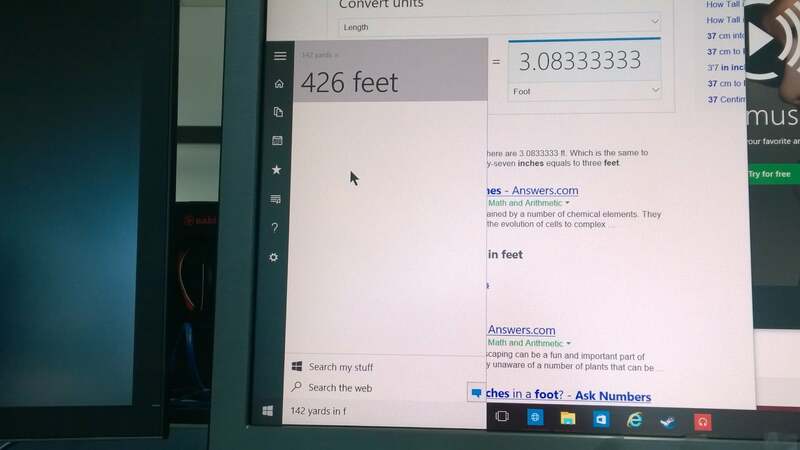 Note that Cortana's "Hey Cortana" feature doesn't work this way. In fact, after I trained Cortana's voice, she couldn't connect to the Internet to process my verbal queries. 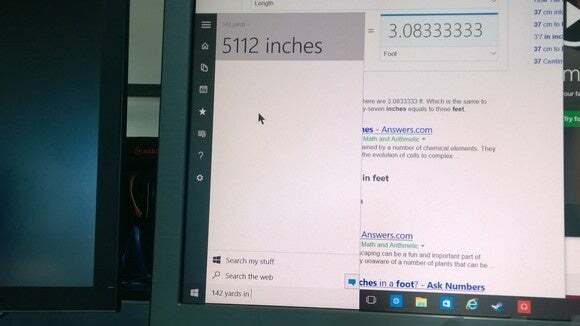 ..but as I began typing the "f" in "feet," Cortana quickly changed her response. 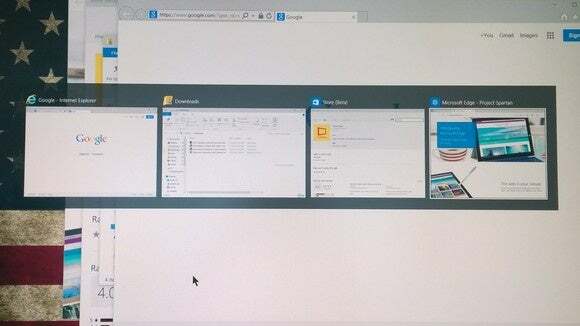 Microsoft suggested we try ALT-TABbing to see the new transparency feature. Here you are. 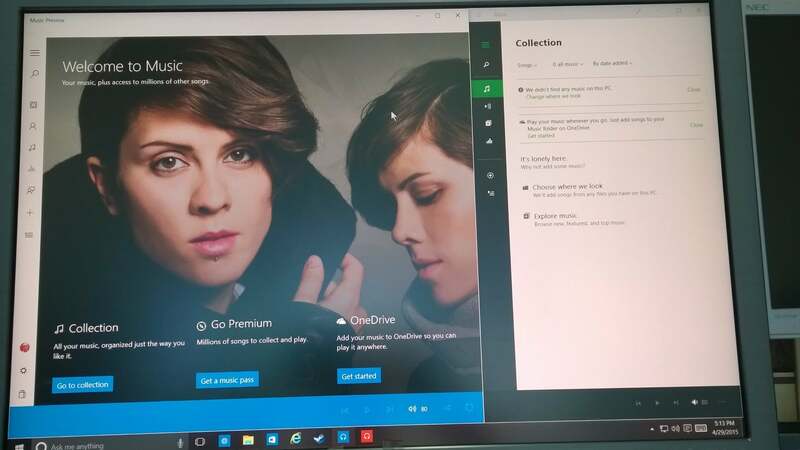 Microsoft said that the Music Preview app now has a more immersive experience. 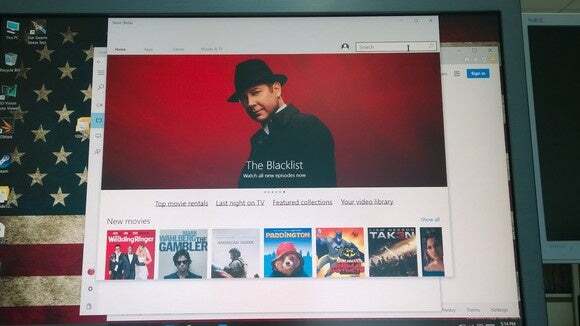 Microsoft turned off the ability to download movies in the Movie Preview app in an earlier build. 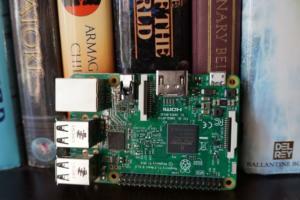 Forutnately, it's back. You can re-download movies as many times as you'd like, but only on up to three devices. 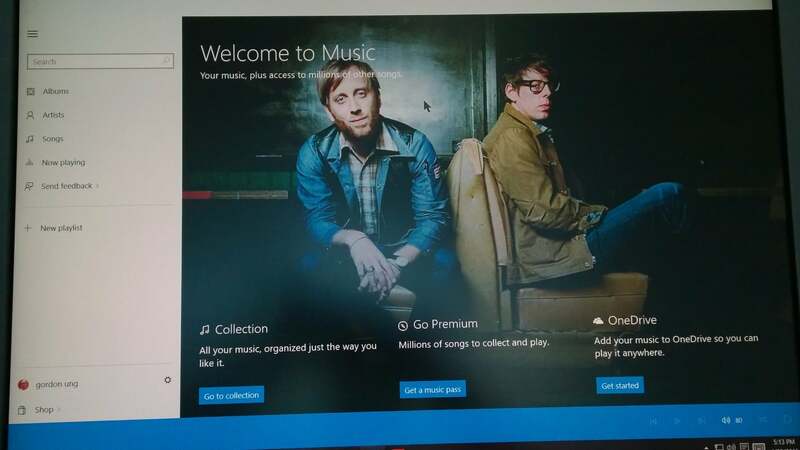 The new Music Preview app (left) versus the old Windows 8 app (right). Which do you prefer? 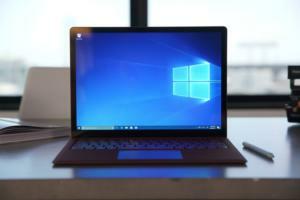 Microsoft has one more surprise in store: recommendations. 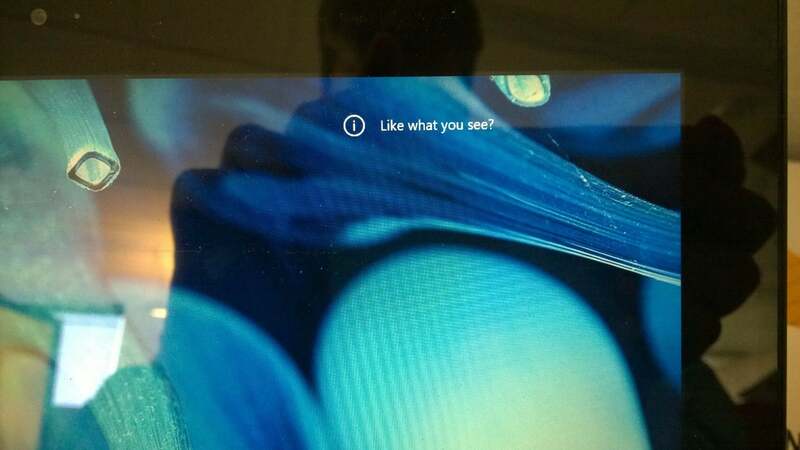 In certain situations, Microsoft will either suggest new apps or features, such as whether you like this lock screen art, and would like to see more of it. Don't worry; you can always turn this feature off if it becomes too intrusive.